A future doctor, engineer, scientist and a lawyer? It is the little men and women in this world who brings us joy. I was delighted to hear the news of the birth of quadruples to a mother from Matugama, in Kalutara District, not too far from my own place. Whatever they want to be in future, it will be our responsibility to build the world for them to achieve those. I wish them the very best for their future. Hon. Dudley Shelton Senanayake (June 19, 1911 — April 13, 1973) became the second Prime Minister of Ceylon and went on to become prime minister on three more times during the 1950s and 1960s. He is considered as a gentlemen politician by all who had a genuine concern about the nation. He is also known for not misusing position to build dynasties to treat close relatives – something we do not normally see today. 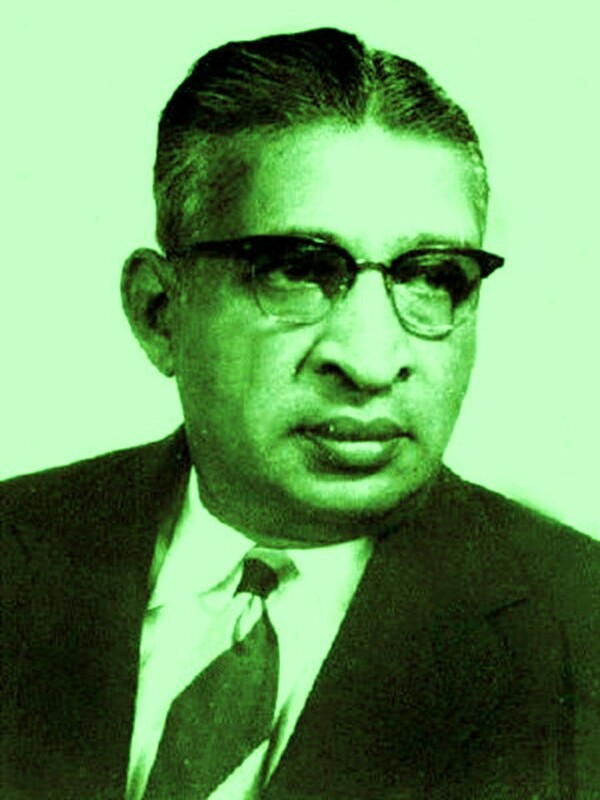 Dudley was the born June 19, 1911 as the eldest son to Molly Dunuwila and Don Stephen Senanayake, who would become the first Prime Minister of Ceylon and found the United National Party which is still one of the main political parties in Sri Lanka and of which Dudley would become a life-long member. Dudley received his secondary education at St Thomas’ College, where he excelled in his studies and sports. He become the Head Prefect, captained the college team at cricket at the Royal-Thomian and gained colours in Hockey, Boxing and Athletics. Senanayake then went on to Corpus Christi College, Cambridge to read for a degree in Natural Science Tripos and was admitted to Middle Temple as a Barrister. After returning to Ceylon, Dudley was elected a member of the State Council while his father was Minister of Agriculture and served as a back-bencher for 10 years. He succeeding his father as Minister of Agriculture in 1946 and held the post after Independence. He was still serving as agriculture minister when his father died unexpectedly. Four days later, on March 26, 1952, to the surprise of many, Dudley was chosen as prime minister by the Governor-General Lord Soulbury over his cousin Sir John Kotelawala. He called a general election, which the UNP won. The government became unpopular a year later, in 1953, when the price of rice was raised and subsidies were cut. Though the UNP remained in power, Senanayake resigned as prime minister and left politics after the Hartal 1953. He returned to politics in 1957 when the UNP lost elections. In March 1960, the UNP managed to form a government after elections and Senanayake became prime minister again, but the coalition fragmented and Dudley resigned as prime minister after only four months in office after new elections were held in which the UNP won less seats. He became the leader of the opposition and help force early elections in 1965 by persuading 14 supporters of Prime Minister Sirimavo Bandaranaike to defect. Senanayake served his longest term as prime minister from March 1965 to May 1970. His government originally consisted of six other parties and included both Tamil and Sinhalese nationalists. His government has been credited with restoring the Sri Lankan economy. He and his allies were defeated in the 1970 elections. He remained active in politics until his death, which occurred after a long illness on April 13, 1973.